In addition to huge mining equipment, I also like the 'regular' construction equipment used by home builders and other general contractors. These pieces of equipment are large enough to be called 'big' by people who haven't seen a 300 ton truck up close and personal. When I saw that they were starting to work on the housing development by my house I just had to stop and take some pictures of the steel they had parked along the road. This area was originally slated for development in 2008 but the housing crash shelved most of the construction in Reno until recently. The John Deere 724K Wheel Loader has a 264 horsepower engine and a bucket capacity of 4 cubic yards. It looks nice in the light of the setting sun too. This Cat D6R Dozer has been around a bit more than the Loader above but it still has a 200 hp engine and an 18 foot blade. The Volvo Excavator boasts a 2.7 cubic yard bucket and a 239 hp engine. This John Deere grader is almost 35 feet long with a 283 hp motor. The Cat 631D scraper is 46.8 feet long, has a 450 hp engine and can carry 31 cubic yards of material that it has scraped off in 19 inch deep cuts. The project on Steamboat Parkway is just getting re-started. The ground has been cleared and foundation/infrastructure work is moving forward. Things are about to get exciting. I was trying to export a hatched polygon from Maptek Vulcan and import it into the Modular dispatch system the other day when I learned something disconcerting about Vulcan's ability to export hatch patterns to dxf. Namely, that it can't. I was disappointed when Modular would only import the polygon and not the hatch pattern from my dxf file but I didn't think the problem was with Vulcan until I tried to import the shape into AutoCAD and got the same result. I can't believe that after 33 years of continuous development Maptek hasn't created a tool to export hatch patterns to the universal CAD file format. I'm sorry, but I think we can all agree that AutoCAD is the defacto standard for dxf files. 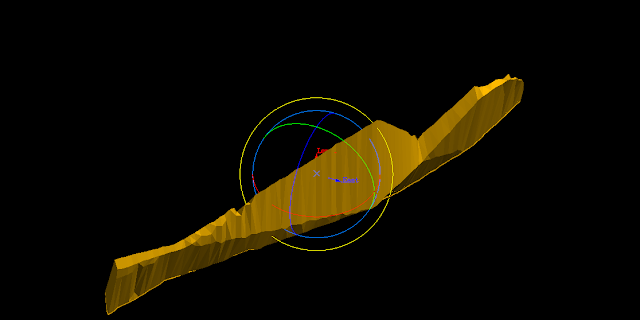 If the Vulcan export of a hatched polygon to dxf isn't importing correctly to AutoCAD the problem is with Vulcan. AutoCAD doesn't seem to have a problem exporting hatch patterns to a dxf file that can be read by Vulcan. This bug has been logged as VUL-25951. Call Maptek and ask about their timeline to fix this shortcoming next time you can't export hatch patterns to dxf. 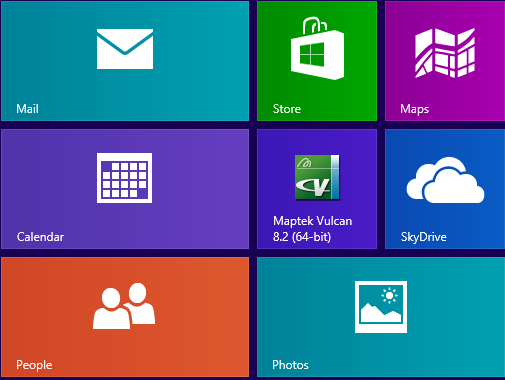 Back on June 26th Maptek announced the release of Vulcan 8.2.2. 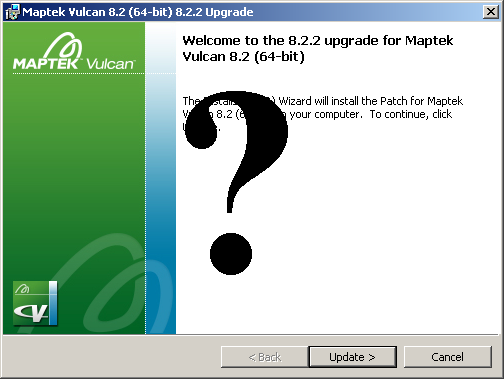 This release came less than two months after 8.2.1 was introduced to the market and seemed to indicate an effort by Maptek to bring releases to Vulcan users on a more frequent basis. 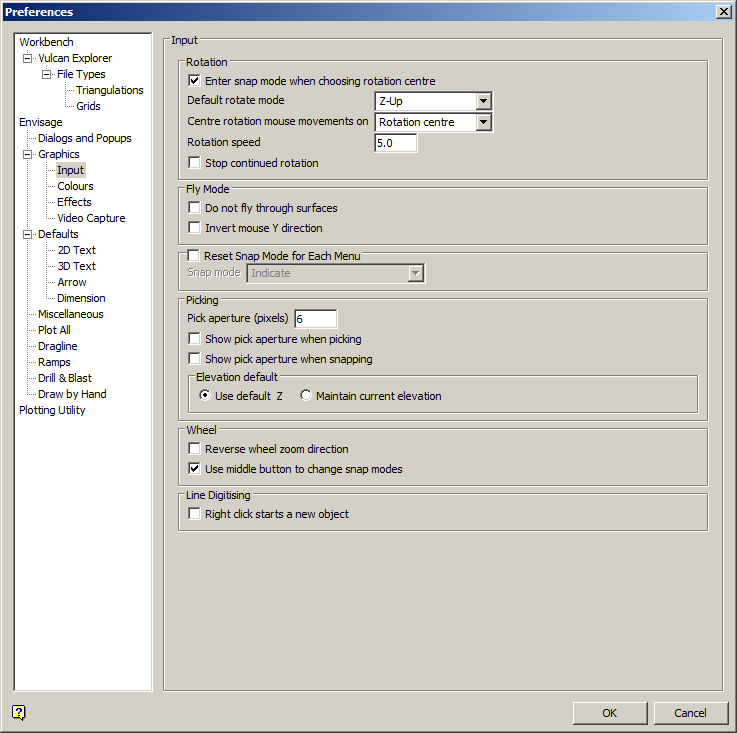 The 8.2.2 release prompted me to write an evaluation of some of the upgrades (see: Maptek Vulcan 8.2.2 Release). Vulcan users had two weeks to enjoy the new release before some bad news came down. On July 11th an email came out stating that version 8.2.2 was flawed. If users were attempting to select block model blocks using bounding surfaces Vulcan was returning incorrect results. This is a pretty big deal to anyone who uses the effected tools but I never select blocks using bounding surfaces so I wasn’t too worried about it. Little did I know that this error prompted Maptek to pull release 8.2.2 from the market completely. I was helping a co-worker download the most current service pack for Vulcan when I discovered that releases are no longer on the open side of Maptek’s website. Users must now use the password protected side of Maptek to download any service packs. Once we jumped through the appropriate hoops we discovered that release 8.2.2 had been removed completely. Maptek doesn’t like to admit that they were wrong. They don’t like to admit that their software has bugs until they are fixed. I was shocked to learn that Maptek was willing to admit that they were so wrong about the release of a Vulcan version that they were willing to pull it from the market. Maptek Vulcan 8.2.3 is due out soon. Let’s hope that it lasts a little longer than two weeks on the market. It’s interesting how you think you know something inside and out and then along comes a simple tool that you had no idea existed. I have been using Vulcan software for seven years and would rank myself as a highly skilled user which is why I was surprised to learn about a Vulcan menu option that does exactly what I have wished Vulcan would do for years: converting text to an object. 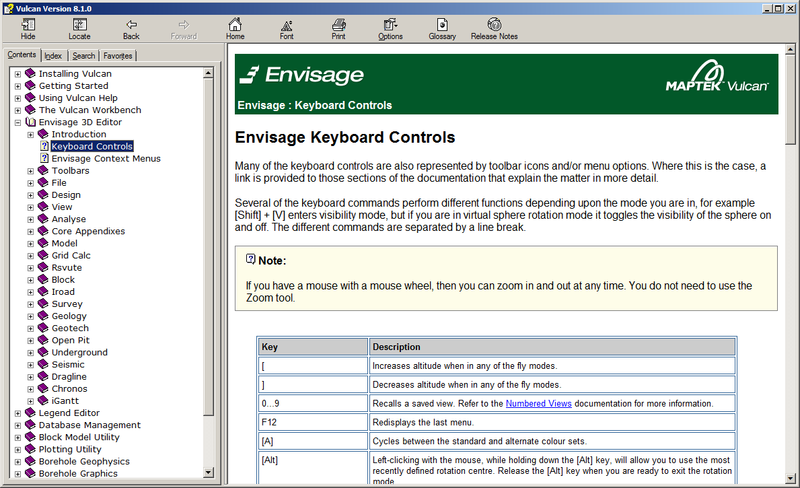 Vulcan text is often a very complex portion of the software. It comes in three distinct varieties: Screen, 2D and 3D (not sure why a 3D software package needs anything other than 3D text, but there you go). Some of the varieties can be used is section view, others cannot. Some can have true type fonts (Arial, Times New Roman, Calibri, etc…) applied to them, others cannot. 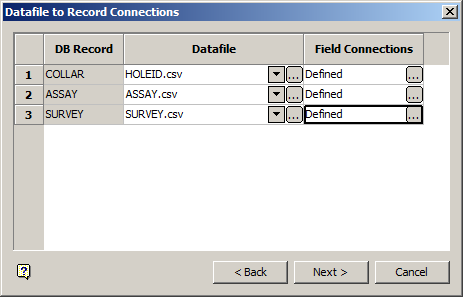 One of the more annoying things about Vulcan text is that it is not a standard CAD object. I can’t tell you how many times I have received the error message: “Vulcan can’t complete whatever editing option you wanted because some of the things you selected aren't real objects.” I’m pretty sure that error message is almost verbatim, almost. 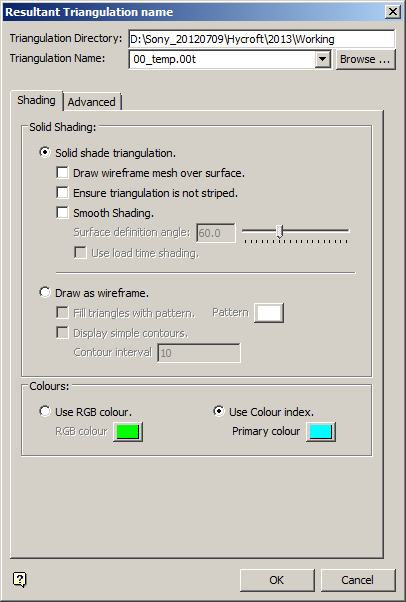 For a long time I was frustrated by Maptek’s inability to treat text as a regular CAD object. 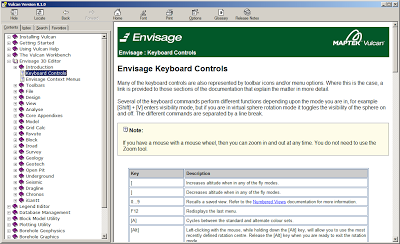 It was also frustrating that the right click context menu didn't have an option to convert to object like the triangulation menu had. Finally, I emailed Maptek support and they set me straight. Thanks, guys for all the help. Although, to give me credit, who thinks to look under the ‘Underlays’ area in the ‘File’ menu to find out how to edit text? I'm so excited. My first 3d print job is at the printers as we speak. 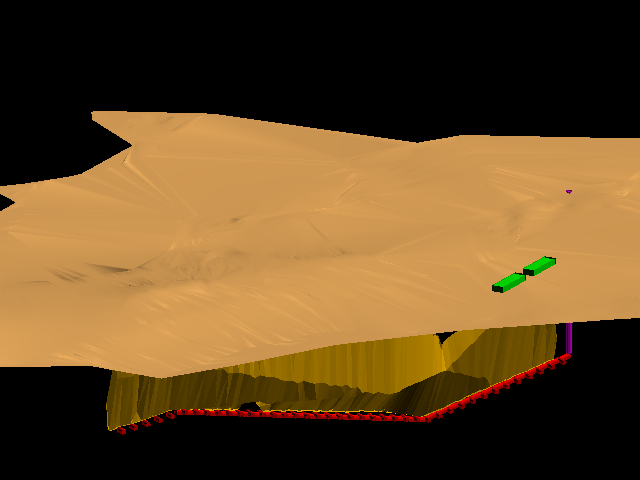 For my first project I chose to do a topography of the Hycroft gold mine. 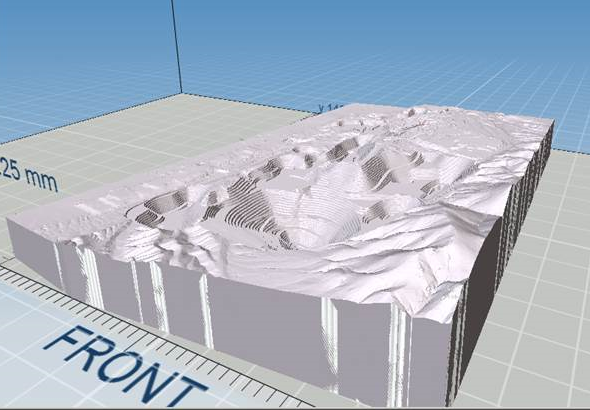 The topo is just under three cubic inches of plastic and will take about 10 hours to print. The project is currently underway at the DeLaMare Library at the University of Nevada Reno. I first learned about the 3d printer a couple of weeks ago as part of a whimsical search to see if there were any publicly accessible 3d printers in my area. I was shocked to learn that UNR was the first public library to purchase a 3d printer for general use. How convenient that this should be right in my back yard. I chose the final topo from the Hycroft mine as my first project because I already had a complete triangulation. I didn't want to spend a lot of time creating a project just to test the printing only to find out that I couldn't get it in the right format to print. It took a while to figure out how to put this in the right format to print. The big problem was that the Maptek Vulcan software isn't capable of exporting to the stl file format. Eventually, I found a program that will convert from vrml format (a format that Vulcan will export to) to stl format. Once I had done that, I realized that my shape was too big to print. I already knew that I had to fit my topo to the 8x8 inch pad but my initial design was almost 15 cubic inches in volume. At $7.50 per cubic inch this was going to cost me more than $100. This was not in my budget. In order to minimize cost, I spent a lot of time creating walls and a base for the model. This reduced the total volume to a little less than 3 cubic inches and put the cost at a more manageable $20. I'm so excited to see the finished product I can hardly wait. The only problem is, I delivered the project at noon on Friday. The project will take about 10 hours to print and the library closes at 5 pm. The library is closed over the weekend and I am going on vacation next week. I will have to wait a week and a half to see my finished work. How sad. The Army Corps of Engineers recently released an Areawide Environmental Impact Statement (AEIS) for the Central Florida Phosphate District. As happens with so many mining related topics, the report almost immediately came under attack from environmental groups and from the media at large. I found an article online from a local newspaper Bradenton Herald that cast a negative light on the whole situation right from the start. To be fair, the actual article was very fair to both sides and gave an accurate balance between preserving the function of the land and producing jobs and resources for the economy. The title of the article, however, was not so unbiased. I think the title: Phosphate mining damages environment, but also drives economy, study finds, is aiming more at shock value than technical accuracy. Whether the Corps of Engineers meant to say ‘wetlands’ or ‘swamp’ the study found that about 9,800 acres of wetland and 50 miles of streams would be disturbed during proposed mining. These same mining operations would lead to 6,000 jobs and about $29 billion in value for the region’s economy. In a country still feeling the effects of a recession and where good jobs are hard to find that sounds like a lot of help coming at the right time. I’m not saying that we should sell all our land for money but I do think that $29 billion will pay for a lot of reclamation, and reclamation in a Florida swamp should be a piece of cake. I remember working on a drilling project for a summer job during college. We spent three weeks working on a 2,000 foot core hole in central Utah (we weren't the fastest drillers). By the time the project was finished the mountain grass had grown up to the point where I couldn't see the yellow water line we laid from the stream to our drill rig. We ended up taking the line out from both ends because nobody could find the line in the middle of all that grass. If three weeks of growth on the desert mountains in central Utah will do that just think what the swamp in central Florida can do. The AEIS came under attack from environmental groups claiming that the scope was too narrow and that it hadn’t appropriately evaluated the impacts on human health and threats to water and air pollution. I haven’t read the report personally but I do know that social and environmental impacts like these are the focus of an Environmental Impact Statement. A general Environmental Impact Statement will take about two years and $2 million to complete. I realize that nothing can be completely comprehensive of everything in the world but a good EIS tries really hard to do just that for the area of study. Residents of central Florida should be happy to invite phosphate mines into their counties. The increased jobs and revenue will improve the standard of living for everyone. Be proud to participate in the work that made this country great. When mining in the area is complete the mining companies will do a fantastic job of reclaiming the disturbed land. Why? Because they want to continue mining in new areas and need a proven track record of success to do it. I couldn't believe it when I heard it. Residents of southeastern Minnesota are opposed to mining SAND in their area (see the Duluth News Tribune). Never mind that mining sand creates jobs and pays taxes for the local governments. Forget that it doesn't include drilling and blasting competent rock and that it has been going on for years in the area. State lawmakers want to put their hand in the mix and regulate current and proposed mines in Minnesota. Mining of silica sand has been taking place in southeastern Minnesota for decades. The high quality sand is used for making glass and other industrial products. Now the demand for sand to be used in fracking for the oil and gas industry has caused state lawmakers to step in and protect people from evils and prosperity of industry and new mines. I can't believe that anyone would be okay with having their name associated with opposition to mining SAND. This is the most ridiculous thing ever. It's not enough that the local newspaper compiled this list of uninformed complaints but one local lawmaker touted the final, desperate ploy of the angry environmentalist. Senator Matt Schmit, DFL-Red Wing, suggested that there should be a moratorium on mining while local governments figured out how to act. Congratulations senator, not only have you learned nothing during all the years that your state has mined sand within your borders, but you want to keep the economy depressed while you study how to mine SAND.